In the daily podcasts that inspired and complement the commentary in Getting to Know Jesus, Pastor Chuck Davis and I focused on the Lord’s Prayer over four days (April 19 – 22). Entire books have been written about the prayer that Jesus taught His disciples as part of His Sermon on the Mount near the Sea of Galilee. The prayer is so well known that it is easy to miss the depth and complexity of what is being said. Here is part of the prayer and our response to it. In this first sentence alone, Jesus includes four declarations. First, He addresses God as “Our Father,” not as some stern and unfeeling taskmaster, but as “Daddy,” just as a child would address his own loving and protective father. 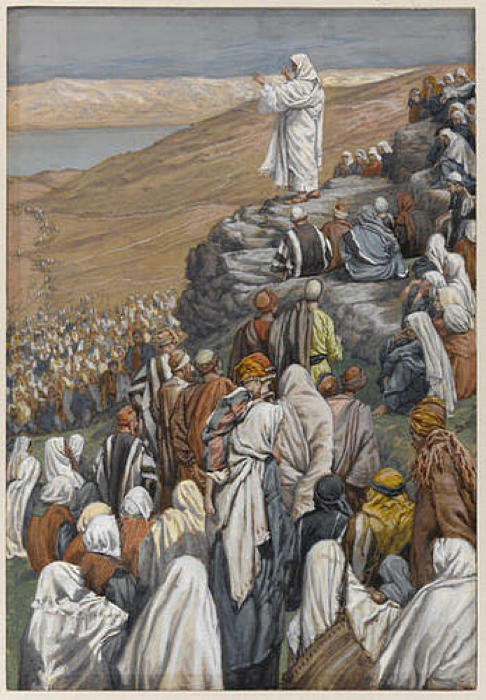 Then He says, “hallowed be your name,” which sets this Father apart as holy and perfect and above the sinful and imperfect condition of men and women on earth. Then Jesus prays that God’s kingdom will be restored here on earth, replacing the kingdoms that are at war with God and His people. Finally, He prays for the unity that can only exist when the original design takes root here on earth, echoing the harmony that existed at the very beginning when God created the world and all the creatures in it, and He saw that it was very good (Genesis 1:31). In this plentiful and prosperous corner of the world, it is too easy to forget what would happen if all the food we find in markets and restaurants suddenly vanish. It is difficult to imagine a world where this kind of deprivation could become a reality; for many, getting access to food is the harsh reality of daily life. When times are good, it is easy to assume provision will be available from the endless supplies afforded by science and enterprise. But is this a reasonable position? Jesus prays to God for daily provision because He knows that God is the only true provider. As He says elsewhere in the Sermon on the Mount, “Therefore, do not worry about tomorrow, for tomorrow will worry about itself. Each day has enough trouble of its own” (Matthew 6:34). 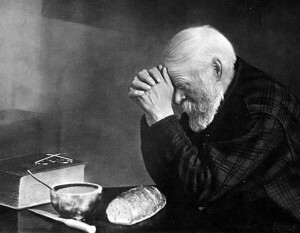 To paraphrase another prayer: “Lord, for tomorrow and its needs I do not pray . . . Please keep me, guide me, love me, Lord, just for today.” Recognizing our daily dependence on God is the only way to live each and every day. 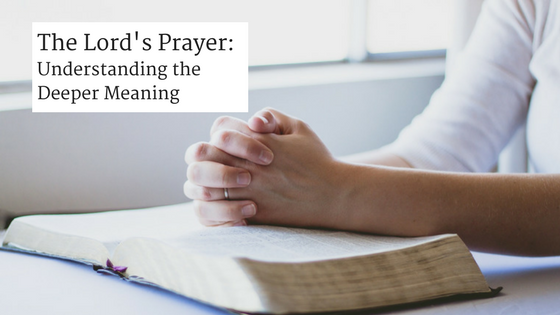 Whether we use the word “trespasses,” “debts,” or “sins” when praying the Lord’s Prayer, we are essentially asking God for forgiveness for the countless ways we have fallen away from Him. In an earlier encounter, Jesus makes His mission on earth abundantly clear: “It is not the healthy who need a doctor, but the sick. I have not come to call the righteous, but sinners” (Mark 2:17). Paul says “All have sinned and fall short of the glory of God” (Romans 3:23), so when we are praying, “Forgive us,” there are no exceptions or exemptions. Everyone needs to ask for God’s forgiveness because our sin causes us to betray Him time and again. 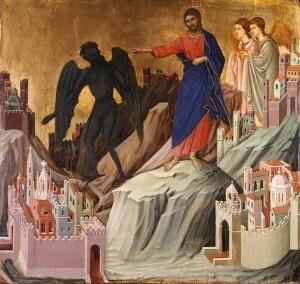 When Paul asks, “Who will rescue me from this body of death,” he gives us the answer immediately: “Thanks be to God—through Jesus Christ our Lord!” (Romans 7:24–25) This one line of the Lord’s Prayer is liberating because without forgiveness, we will never escape the destructive consequences growing out of our sin-prone nature. But it is not just about us: We need to forgive others as God has forgiven us. Just as God’s forgiveness cost Him dearly, to forgive others as God has forgiven us can be costly. But from an eternal point of view, the cost is worth it. 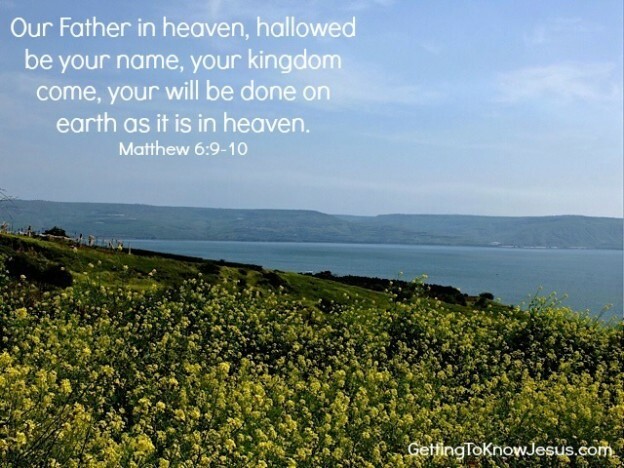 This entry was posted in From The Blog and tagged Getting to Know Jesus, how to pray, Lord's Prayer, Luke, Matthew, prayer, Sermon on the Mount, understanding the Lord's Prayer on December 15, 2015 by rich.